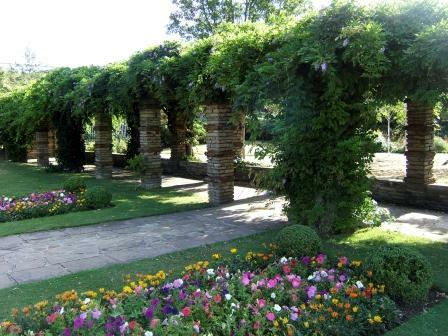 The wisteria arch at the end of the Italian garden is one of the Pleasaunce's most popular features. In late Spring most spectacularly and often again in early autumn, the pergola is ablaze with bright purple. The plants, some of which are believed to pre-date the stone framework, are thought to be up to 100 years old and are skilfully pruned by the Pleasaunce's gardening team to ensure maximum flowering.